Saving money and kombucha. Homemade kombucha only costs about a dollar fifty a gallon ! that’s under 10 cents a cup. Making your own probiotic tea is a good way to stay healthy, and a great way to start save money. Homemade kombucha is never flash pasteurized. Why would you want to destroy all of the vital nutrients kombucha has to offer by boiling it ? When brewing kombucha at home, you are able to maintain a low sugar level by letting your tea ferment longer. This is especially good for diabetics and people looking to live a healthier lifestyle with minimal refined sugars. Knowing what your are consuming, using fresh organic ingredients such as sugars,teas,and fresh herbs & fruit. Bottles of kombucha in the store are up to 5 bucks for a 16 oz container. Store bought kombucha is flash pasteurized to maintain a longer shelf life. 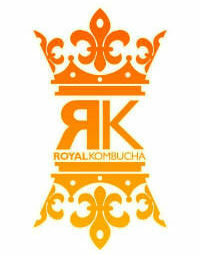 During the process, you are killing all the nutrients and probiotic benefits of kombucha tea. Store bought kombucha contains up to 13 grams of sugar. Bottled kombucha companies use cheaper ingredients to cut costs. For those wanting to make their own kombucha tea at home, this is the best way we can think of to get all the great benefits of kombucha without the drain on your finances. Since one kombucha scoby can potentially produce limitless amounts of kombucha tea if properly cared for, you have a good chance of saving some of your hard earned money instead of spending it over and over on store bought kombucha tea. Kombucha can be a costly decision at the checkout counter of many local food stores. Some that stock premium quality varieties of kombucha can charge “premium” prices for their products, and why not, they have lots of flavors and varieties to try. But it’s hard to imagine that you would devote that much spending to a product that you can easily make on your own at home, by following some simple guidelines, common sense and food safe practices. Its much easier than you may think! Another reason to rejoice is that you can inexpensively try new flavors simply by creating them yourself, or by checking out our recipes page. As always, we have excellent customer support to guide you along the way.